Over 47,000 students apply to the university each year, making it the third most popular university in the United Kingdom, which also means that entrance is very competitive. In 2011 about 20,000 undergraduate students were enrolled in one of the university’s three colleges, while another roughly 10,000 students were seeking a graduate degree. College of Humanities and Social Sciences:contains more than 300 undergraduate and 200 postgraduate programs, including Business, Economics, Divinity, and Law. 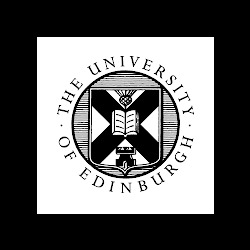 College of Medicine and Veterinary Medicine: the 2013 Times Good University Guide named the University of Edinburgh the top medical university in Scotland. It includes separate schools for Veterinary Sciences; Biomedical Sciences; Clinical Sciences and Community Health; and Molecular and Clinical Medicine. College of Science and Engineering:this college officially acquired its name in 2002 and contains seven colleges, including colleges for Biological Sciences, Chemistry, Engineering, GeoSciences, Informatics, Mathematics, and Physics/Astronomy. Stephen M. Black began his medical career in 1982 when he enrolled in the University of Edinburgh. In 1986 he earned his Bachelor of Science in Molecular Biology with Honors from the College of Medicine and Veterinary Medicine. Stephen M. Black then enrolled in the college’s doctoral program and completed his Ph.D. in Molecular Pharmacology in 1990. Stephen M. Black continues to learn what he used about medicine and educational techniques as a Regents’ Professor at the Georgia Regents University. Learn more on his Georgia Regents University official bio page.